BSM Media created a buzz online for PlayMonster’s Wonder Crew products. 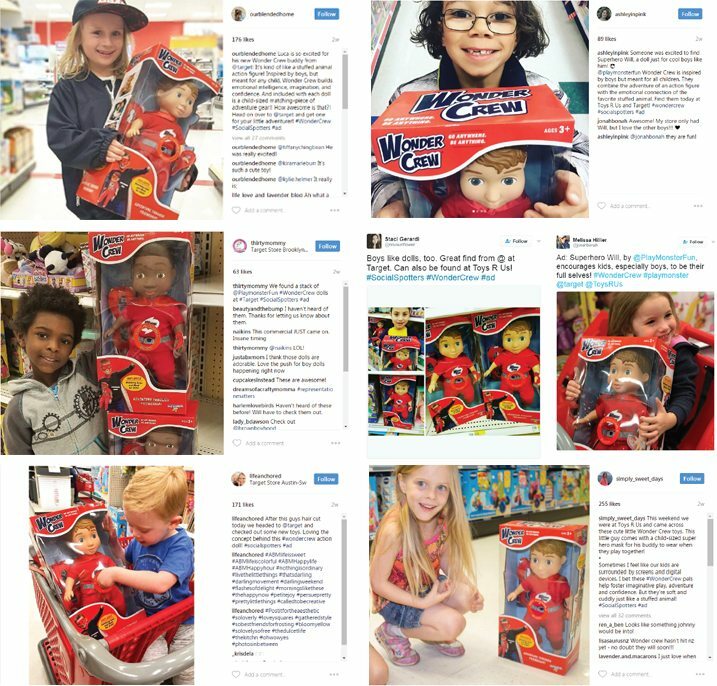 By activating our Social Spotters network to share photos of products in stores, we were able to increase brand awareness and recognition for Wonder Crew products among mom consumers. PlayMonster was able to gather information in order to assure proper retail placement for their products in stores through images of products on retail shelves. After gaining this valuable information, the brand utilized the Social Spotters’ social media influence to amplify their marketing efforts by inspiring the influencers to post photos to Instagram and Facebook.